There are tissues and then there are TISSUES. Parents, I know you understand. When the boogers are flowing, I need more than just a tissue to capture the germs. I may need a box or two or fifty of the best tissue out there. Scotties Facial Tissues are perfect for my family’s needs. 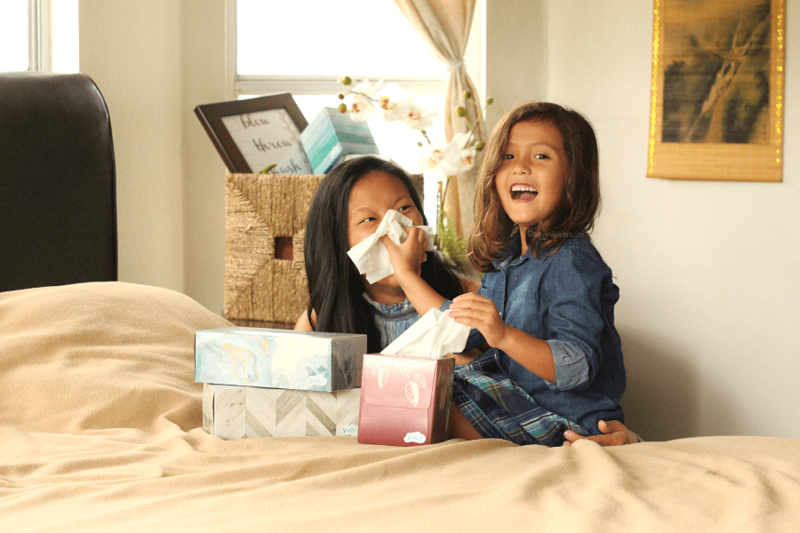 Whether we’re dealing with a runny nose on overtime, a flu that needs to be contained, or just an everyday tissue that fits our family budget, Scotties is the right tool to tackle cold and flu season. 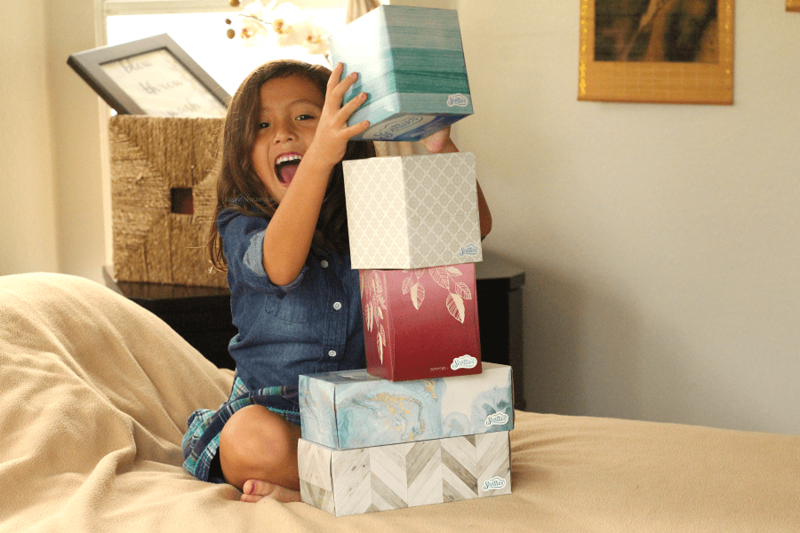 Why do we love these tissues? Let me count the ways. Though I may not be working in a hospital anymore, those nursing skills are always being used. And I love that. There’s not a day that goes by where I’m not fixing a boo boo, clearing out a nose or checking out some mysterious rash. But hands down the busiest time of the year is cold and flu season. I still get asked for my best tips to keep kids healthy during this chaotic time of year. Prevention! Start the season with a healthy mindset and these cold and flu prevention tips. Stock up. Now is the time to have a stock up supply of cold and flu essentials. 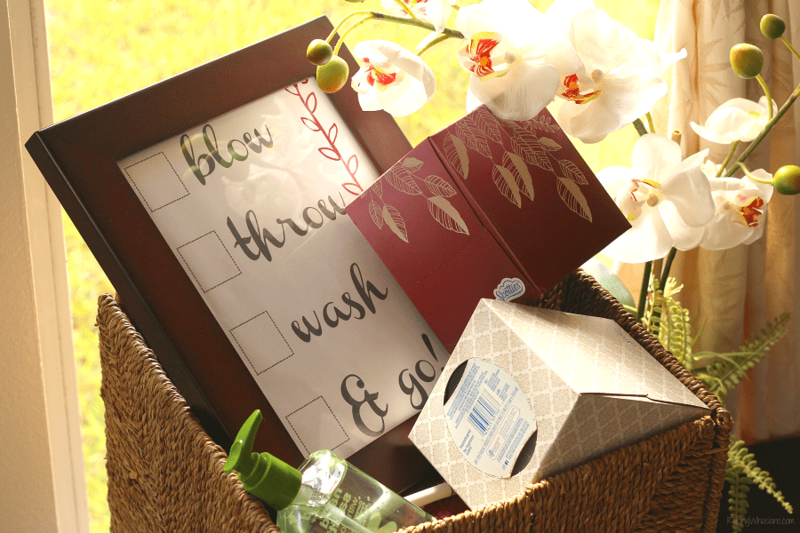 Make sure to have tissues and sanitizer easily accessible in every room in the house! Less chance of your kids using their hands, sleeves or *gross* something else. Blow your nose! 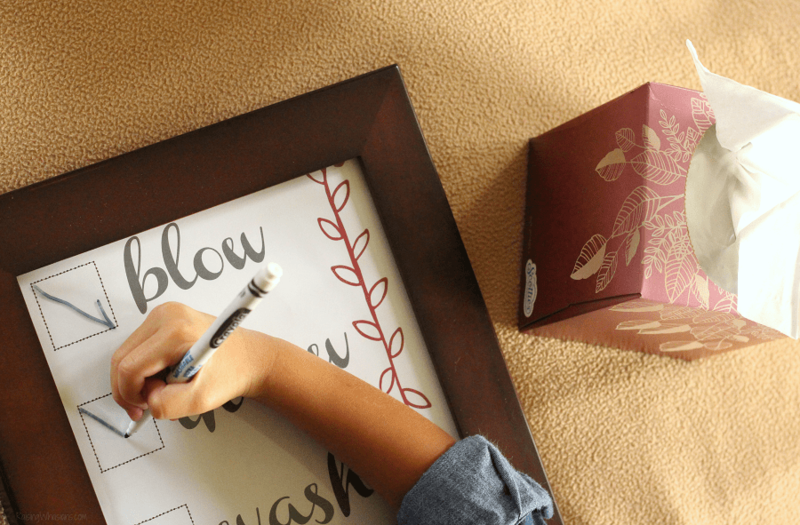 Teach your kids to blow their noses effectively. Try saline spray for hard to remove boogers. Hand washing. Period. This is always the #1 tip I have for cold and flu season. Germs are spread so quickly and can be prevented so easily with proper hand washing. Provide your kids with proper hand washing skills, especially after blowing nose, touching face, sharing items, handshakes, etc. Fluids. Drink plenty of fluids! Flush out your system, thin out secretions (like boogers and mucus), and hydrate your body to fight off cold and flu symptoms. Rest. The biggest favor you can do for your body is to listen to it. When rundown, take the time to rest your body so it can heal and fight off infection. 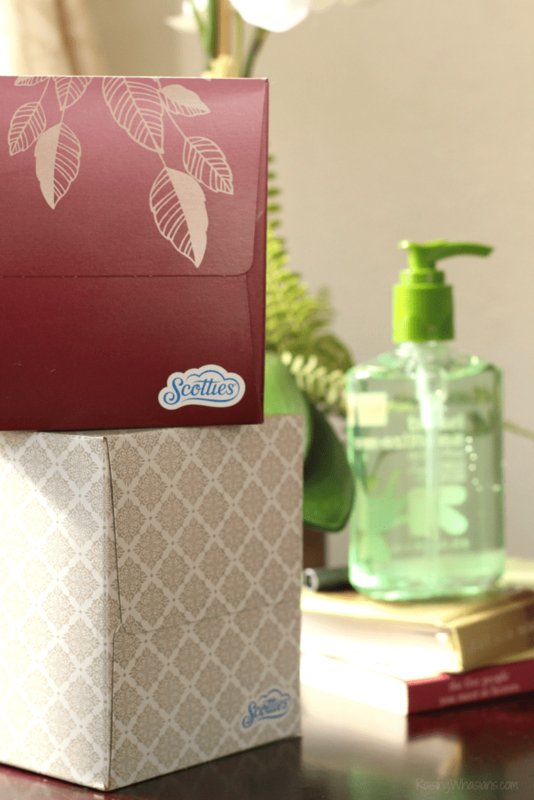 1 Box of Scotties Facial Tissues – go for COLOR with tons of new designs for the season! Comfort items like a soft blanket, pillow, a good book, and/or slippers! Why an empty tissue box, you say? To contain the germs, of course! 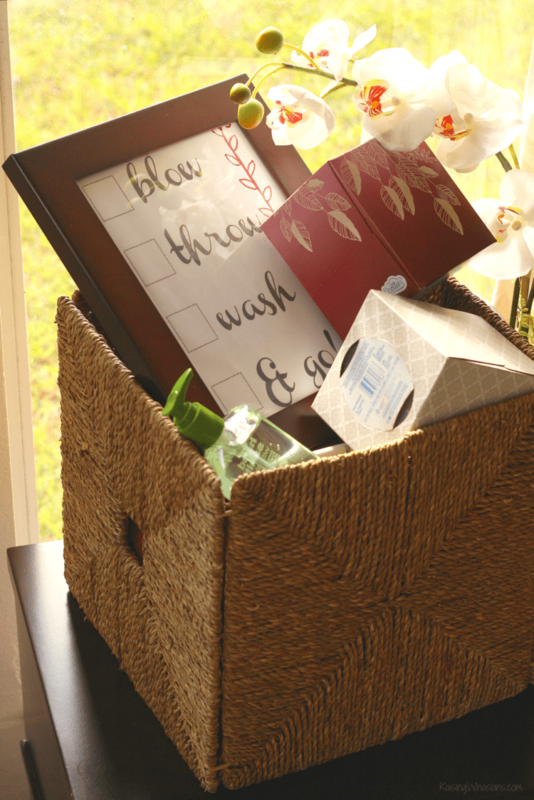 Easily throw away your used tissues into an empty box for easy disposal and containment of cold and flu germs. 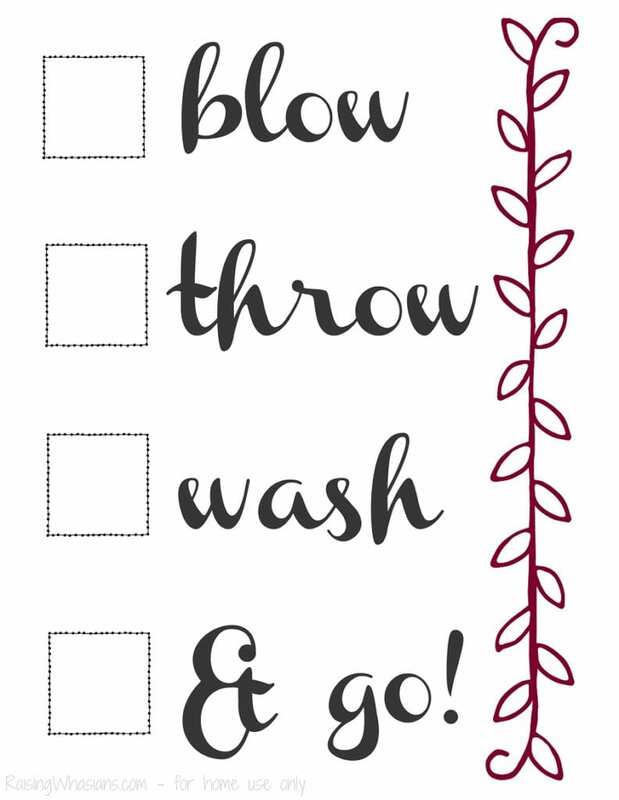 My 5-year old daughter absolutely loves the checklist too – helps her to stay on track when she’s getting a cold! Plus who doesn’t love checking boxes? The best part about this Pop-Up Cold and Flu Station is that everything can easily be stored and hidden away – saved for next time! Cold and flu got you down this season? 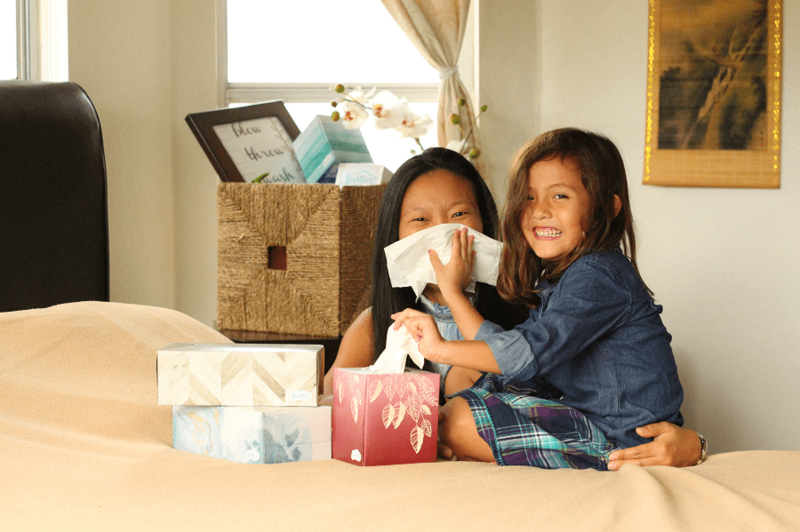 Pop-up and make this season a little easier with this Pop-Up Cold and Flu Station and Scotties Facial Tissues, so your family can start feeling better sooner! What would you put in your Pop-Up Cold and Flu Station? What are your best cold and flu tips? Be sure to follow Raising Whasians via Facebook, Twitter, Google, Instagram, Pinterest and YouTube for more family tips, delicious recipes, kid crafts and travel. 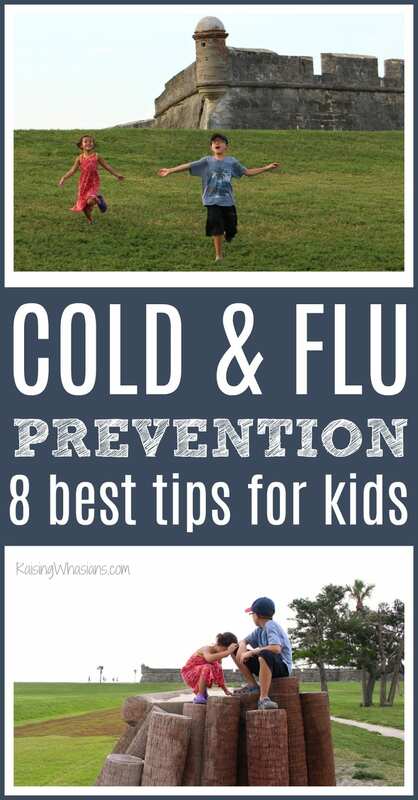 Looking for more cold and flu tips? I really hope we don’t end up needing a station like this!! But if we do, we would use facial tissues, hand sanitizer, and magazines!